Mortgage closing costs range from 2-5% of a home’s purchase price. That can add up. But, many sellers are eager to pay your closing costs in order to sell their home faster. There is a limit to how much a seller can pay for, though. Each loan type — conventional, FHA, VA, and USDA — sets maximums on seller-paid closing costs. Seller-paid costs are also known as sales concessions, seller credits, or seller contributions. Whatever you want to call them, new and experienced homebuyers can get into homes faster with help from the seller. Each loan type has slightly different rules when it comes to seller contributions. The percentage each loan type allows varies as well. 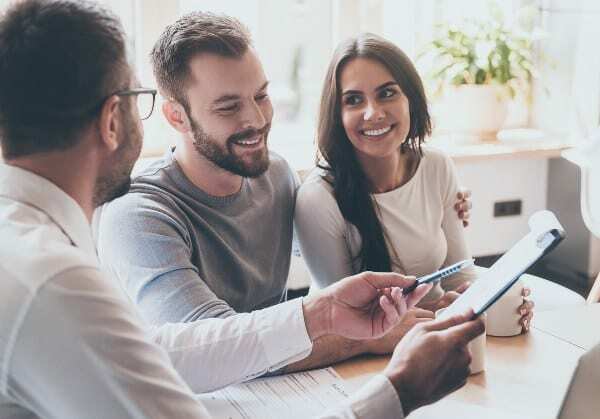 It’s important to understand the seller-paid maximums for your loan type, so you can take full advantage when it comes time to buy. Fannie Mae and Freddie Mac are the two rule makers for conventional loans. They set maximum seller-paid closing costs that are different from other loan types such as FHA and VA. While seller-paid cost amounts are capped, the limits are very generous. A homebuyer purchasing a $250,000 house with 10% down could receive up to $15,000 in closing cost assistance (6% of the sales price). This dollar figure is a lot more than the typical seller is willing to contribute, so the limits won’t even be a factor in most cases. If the appraised home value is less than the purchase price, the seller may still contribute 6% of the value. FHA indictors that the lessor of the two (purchase versus appraised) values may be used. For example, a buyer’s core closing costs for things like appraisal, loan origination, and the title equal 2% of the purchase price. The seller agrees to prepay taxes, insurance, the VA funding fee, and a credit card balance equal to 3% of the sales price. This 5% contribution would be allowed because 2% is going toward the core loan closing costs. USDA loan guidelines state that the seller may contribute up to 6% of the sales price toward the buyer’s reasonable closing costs. Guidelines also state that closing costs can’t exceed those charged by other applicants by the lender for similar transactions such as FHA-insured or VA-guaranteed mortgage loans. Seller-paid costs fall within a broader category of real estate related funds called interested party contributions or IPCs. These costs are contributions that incentivize the homebuyer to buy that particular home. IPCs are allowed up to a certain dollar amount. Who is considered an interested party? Your real estate agent, the home builder, and of course the home seller. Even funds from down payment assistance programs are considered IPCs if the funds originate from the seller and run through a non-profit. Why set maximum seller-paid closing costs? Mortgage rule makers such as Fannie Mae, Freddie Mac, and HUD aim to keep the housing market fair by keeping values and prices sustainable. Here’s an example of how rampant seller-paid closing costs and other interested party contributions could inflate prices. Imagine you are buying a home worth $250,000. The seller really wants to sell the home fast, so he offers $25,000 to pay for your closing costs and says you can keep whatever is left over. But, in exchange he changes the home price to $275,000. He then illegally pays the appraiser to establish a value of $275,000 for the home. You paid too much for the home. Similar homes in the neighborhood will start selling for $275,000 (and, more if the cycle is repeated). The bank’s loan amount is not based on the true value of the home. In a very short time, property values and loan amounts are at unrealistic levels. If homeowners stop making their payments, banks and mortgage investors are left holding the bill. For instance, a homebuyer has $5,000 in closing costs and the maximum seller contribution amount is $10,000. The maximum the seller can contribute is $5,000 even though the limits are higher. Imagine the seller is willing to contribute $7,000, but your closing costs are only $5,000. That’s a whopping $2,000 is on the line. You can also use seller credits to prepay your homeowners insurance, taxes, and sometimes even HOA dues. Ask your lender and escrow agent if there are any sewer capacity charges and/or other transfer taxes or fees that you could pay for in advance. Chances are there is a way to use all the money available to you. FHA loans require an upfront mortgage insurance payment equal to 1.75% of the loan amount. The seller may pay this fee. However, the entire fee must be paid by the seller. If you use excess seller credit, but it’s not enough to cover the entire upfront fee, then you cannot use the funds toward the fee. VA loans allow the seller to pay all or part of the upfront fee (2.15%-3.3% of the loan amount). The fee counts towards VA’s 4% maximum contribution rule. Seller contributions and other interested party credits reduce the amount of money it takes to get into a home. Zero-down loans such as USDA and VA require nothing down. But, opening any loan involves thousands in closing costs. To see if you qualify to buy a home with zero down and low out-of-pocket expense, click here and complete a short form. Many home shoppers are surprised that they not only qualify, but that initial homeownership costs are much lower than they expected.